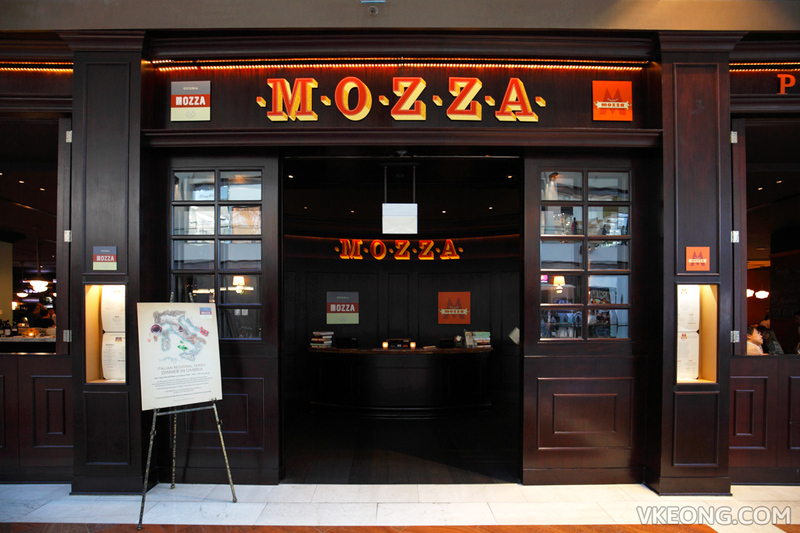 Osteria Mozza by Mario Batali is widely hailed as the best Italian restaurant in Singapore. Just look at the lineup of co-owners and partners of the restaurant and you will understand why. Even if you haven’t heard of Mozza you probably should know Nancy Silverton, who appeared in an episode of Chef’s Table recently and Joe Bastianich, former judge on MasterChef. Naturally, one should expect the food to be impeccable. Otherwise, you can’t justify the reputation, price and all the accolades the restaurant has received. 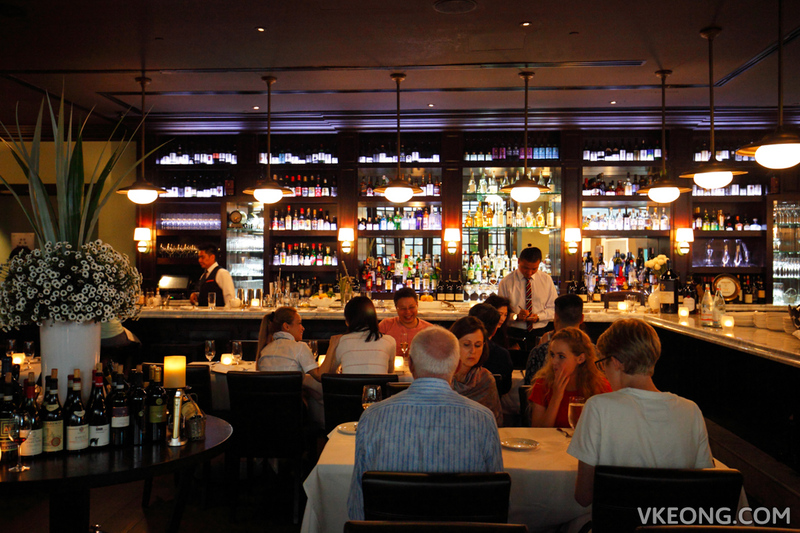 But the thing about celebrity chef owned restaurants is that they are not always around cooking or overseeing the kitchen’s operations, especially when it’s thousands of miles away from their flagship restaurant in The States. I am a realistic person, so I don’t expect Mario Batali himself to cook my dinner – but I trust I am in good hands. I started with the Chargrilled Octopus (with potatoes, celery & lemon) @ $27 and it was aesthetically pleasing. While I did enjoy the tender and non-rubbery texture of the octopus, I can’t really say the same for the flavor. I get that it’s supposed to be smoky and the exterior should be crisp, but all I could taste was bitterness from the burnt outside. I should have sent it back and I didn’t, not quite sure why. 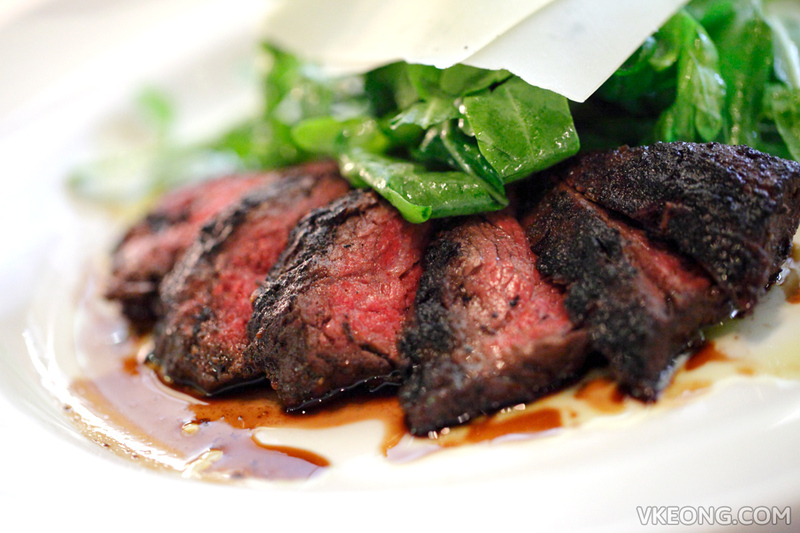 The Wagyu Beef Tagliata (with rucola & Grana Padano) @ $65, or Italian sliced steak features a thick piece of Wagyu beef that is grilled, and then carved. 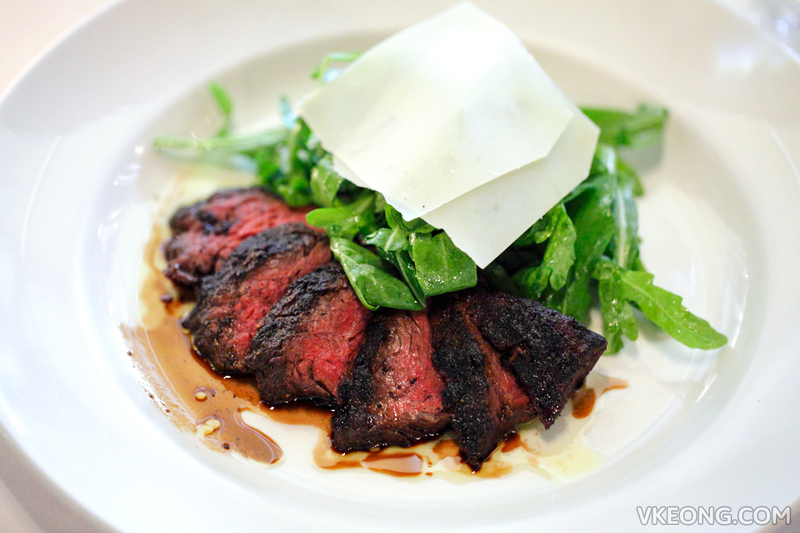 Initially, I wanted it to be medium rare but was advised to have it done at medium instead, because that’s the intended doneness recommended by the chef. Well, who am I to argue with the creator? Overall, the steak was delicious, a bit chewy since there’s not much fat on it. However, I found the dressing to be peculiarly sweet. For dessert, I had the Torta Della Nonna @ $17 which translates to Grandma’s Pie. The pie had a soft shortcrust pastry filled with thick Italian custard and garnished with icing sugar and pine nuts. It was a warm, delicious and delicate cake which marked a positive end to what may have felt like an average dining experience at best. 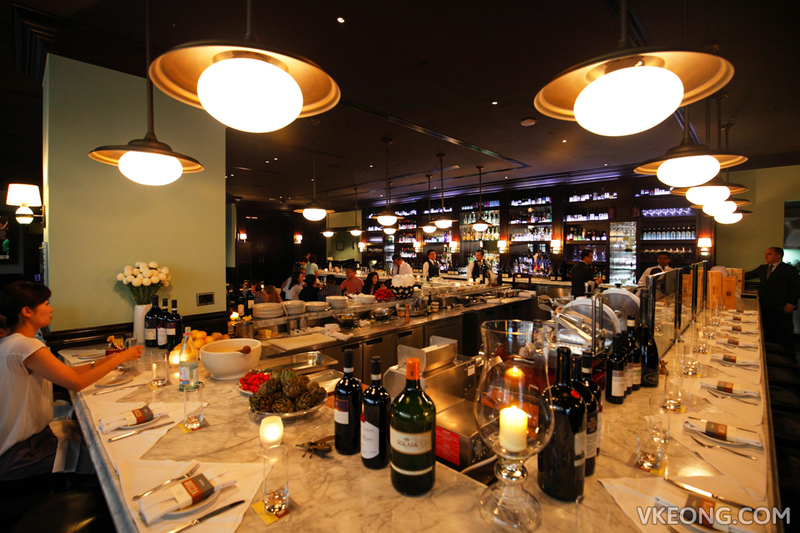 Osteria Mozza is also connected to the casual Pizzeria Mozza, while Amaro Bar offers an impressive selection of wines, cocktails and beers. 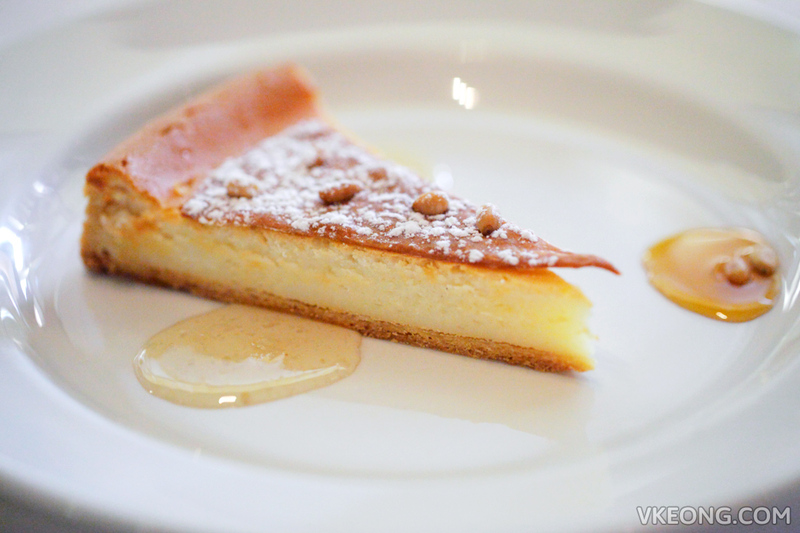 The post Osteria Mozza by Mario Batali @ Marina Bay Sands appeared first on Malaysia Food & Travel Blog.